The average employee spends 30 to 40 percent of their time searching for documents or looking through information. At any given moment, up to 5 percent of an organization’s files are lost or misfiled. Seven out of 10 businesses would fail within 3 weeks if their paper documents were destroyed in a natural disaster. That last one is shocking, right? The majority of businesses would go out of businesses if their paper documents were destroyed…are you one of those businesses? If so, it’s time to find ways to protect your business and improve your efficiency and productivity at the same time. How can you do that? Digital document management solutions. What Will Digital Document Management Solutions Do For My Business? There are a number of ways that going digital will protect your business and help you improve productivity. First of all, you’ll be able to get rid of the stacks and drawers of paper you have throughout your office. This will create a better environment for working and can relieve stress that you didn’t even know was there. Better customer service: More organized, more accessible documents will allow you to quickly and easily find documents you need to service your clients. Less time handling papers: The less you have to shuffle papers around, the more you can focus on other tasks that will help keep your business moving forward. Don’t get stuck playing catch-up with your paperwork. Digital document management will eliminate the need to handle documents so much. Reduce your footprint: Buying supplies like paper, ink, and paper clips can add up quickly when using traditional paper documents. You may not realize it, but simply storing paper also costs your business money. By moving to digital documentation, you can reduce the storage space needed and the associated costs. Improved security and privacy: It’s difficult to monitor who sees what with paper documents moving around the office. But with digital documents, it’s incredibly easy to give certain people access and restrict access for others. More robust organization options: Keeping papers in filing cabinets only allows you to organize your documents in one way. But, with digital document management solutions, you can organize the documents in the way that’s most convenient for achieving the task you’re working on. 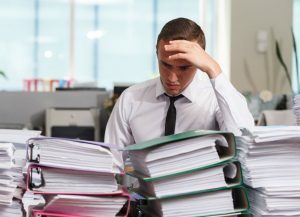 Are You Being Overworked By Your Paperwork? With affordable digital document management solutions available for any size business, it no longer makes sense to use old-fashioned paper document management. For more information about getting started with a custom digital document management solution for your business, contact Stone’s Office Equipment at 804-288-9000. Your office goes through a lot of paper, and much of that paper needs to be stored for an extended period of time. If you can scan all of those documents, then you can cut down on the cost of physical space to store documents, and you can also benefit from improved efficiency, especially through reduced costs associated with retrieving paper records. A scanner might boast an impressive page-per-minute (ppm) rate, but is that speed coming at the expense of quality? 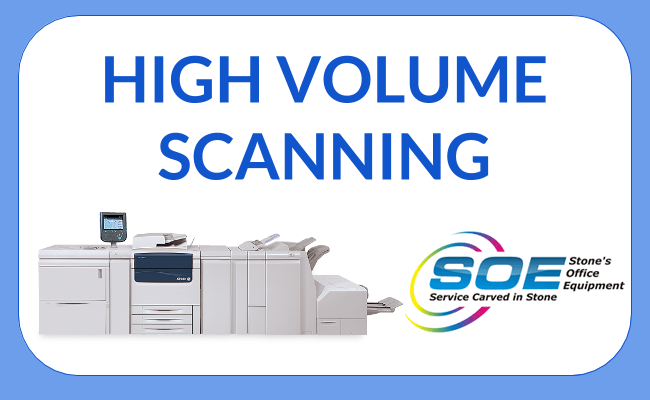 Go with a unit that offers a high-resolution image as well as an impressive page-per-minute rate that meets your peak scanning loads. Ideally, your employees should be able operate your scanner without going through extensive training. Evaluate who will be using the unit and select a machine that offers productivity, but is suitable for even those who are less tech savvy. Choose a scanner that is simple to use, features automatic settings, has customizable preferences, and includes a user-friendly interface. FEATURES – Modern scanners offer a variety of different options; so consider what kind of work you will need your machine to handle. For instance, multi-feed detection utilizes sensors to recognize double-feeds which could lead to paper jams, suspending the scan job and alerting the operator. A staple-detection feature will identify the presence of staples in materials loaded into the document handling tray, preventing potential headaches. And duplex scanning, capturing both sides of a document in a single pass, is extremely valuable if you will be scanning a significant amount of two-sided documents. 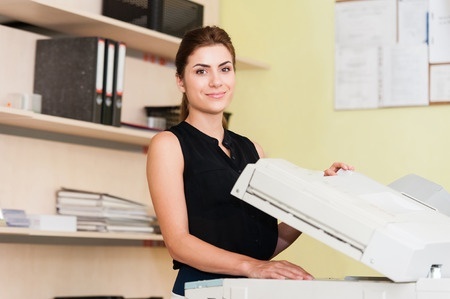 If you work with documents of various types and sizes, go with a scanner that can efficiently handle a variety of different paper sizes and grades. How will your documents be organized, stored, searched, and retrieved? All of these things could impact the best type of machine and configuration. Consider a software with OCR (optical character recognition), which could allow every one of your records to become searchable. Take the time to evaluate your needs and find the high-volume production scanner that is best-suited to accommodate them. If you’re unsure which options or considerations are most important for your consideration, contact one of our experts today. Whether you started your business a year ago or 50 years ago, over time you’ve established methods for how everything gets done. You order products a certain way. You schedule people to work in a certain way. And you manage your documents in a certain way too. But, getting by with those processes this long doesn’t mean it’s best to stick with them. If you’re business has been around for a while, there’s a good chance you established a lot of paper-heavy habits over the years. But, in the last couple decades, technology has decreased the need for paper usage considerably. It’s now easier and cheaper to manage your documents virtually rather than having to handle and store a ton of physical documents. It’s true! 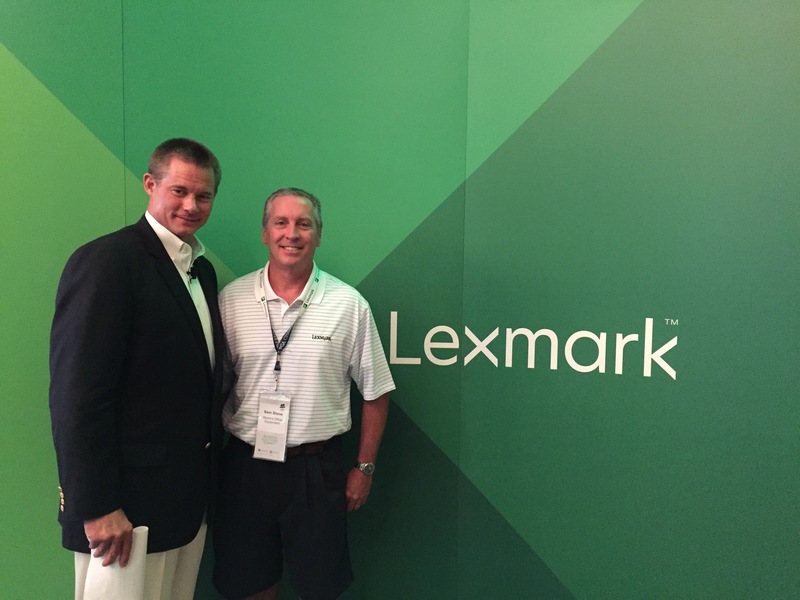 Most companies still operate with some version of their original document solution process. That means either complete or partial reliance on laborious, paper-based workflows. This hurts your efficiency in two ways: First, it takes more effort to manually locate documents. Having your documents available on computers makes them much more accessible, leading to decreased time locating them. Second, there’s less time skimming documents to find specific pieces of information. Using traditional filing methods can be like finding a needle in a haystack. But, with most digital document solutions you can search specific words, images and more within seconds. Taking more time to find your documents isn’t the worst thing that can happen with traditional document management…not finding them at all is! With physical documents and the processes used to manage them, it’s much more likely to lose or misplace your files. The loss of files becomes incredibly expensive, forcing you to reproduce them from scratch (if that’s even possible). Digital document solutions will keep your files safe and accessible, no matter what happens to their paper counterparts. Natural disasters, like fires and floods, can be surprising and very destructive. With a paper-based process, if the documents are ruined then you’re just out of luck. Even if some of the documents survive the event, it will be very costly to recover the documents that weren’t destroyed. But, with a digital solution, your files will be out of harm’s way, even when your office isn’t. It’s a fact. Your paper-based process is holding you back. If your business still uses paper-based filing systems, wasting energy handling documents, misplacing more files and increasing the risk of a catastrophic disaster. Upgrading to a digital document management solution will improve your business’ process and the flow of information—maximizing productivity, cost savings, and security. For more information, contact Stone’s Office Equipment today at 804-288-9000. Think about all the ways your staff interacts with documents each day. Creating, editing, filing, storing, searching, faxing, copying, emailing, and so on. All of these actions require manual effort from your staff, which takes a great deal of time, lacks security and allows for errors. Does your staff experience problems such as lost files, extended waiting periods, and document sharing limitations? If so, there’s a solution. 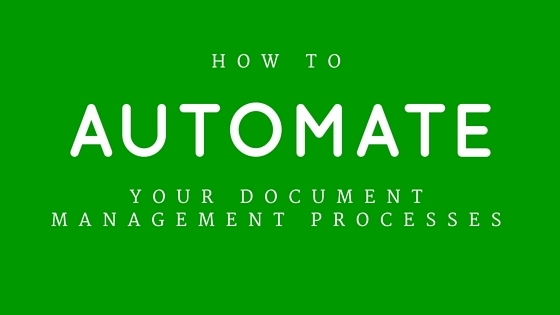 It’s called document management automation or workflow automation. What does workflow automation really mean? Workflow automation or document management automation simply means streamlining the process by which your company uses and manages its documents. There are a number of ways to improve workflows and automation and the process is flexible to fit the needs of different types of businesses. For instance, if you share your documents with external parties, then the methods used for sending, retrieving, and storing files should be examined. If your business collaborates internally on projects then the methods for sharing, editing, and communicating about those files should be examined. Workflow automation will mean something different to each business, but there are some common themes for most companies. Even though there are plenty of tools for electronic and cloud-based document management, many companies are so entrenched in traditional paper-pushing methods that it’s difficult to consider the effort it would take to transition from physical documents. But, the truth is that paper is the most common threat to productivity that exists in the workplace. Because of all the manual tasks surrounding paper, all projects that utilize it will end up requiring a great deal of time spent without actually doing any real work on the project. Switching paper documents to electronic documents allows for decreased time handling and managing paper and more time for staff to get right to work on the project. Instead of having to dig up a file in the filing cabinet (assuming the file is in the right place), you can simply search for it on the computer and even share it immediately with coworkers, rather than manually delivering it. We know that with paper, there is a lot of time spent gathering and sharing documents. With electronic documents, you have the ability to quickly search for the documents you need and then share them from your computer to the appropriate recipients. But, you can actually take that one step further by creating an automatic routing service within your computer network, allowing staff members to receive the documents they need to get their jobs done without having to look around for it. Since searching for documents on the computer can take up time, this automation will decrease the amount of time spent between projects and get staff members to work more quickly. Users can also be notified when actions take place with specific documents, such as the saving of a document, the moving a document, or when a specific document gets opened. In the 21st century, we’re able to get data and measure pretty much anything. That includes the way users are working with documents and how documents are being handled. Being plugged in to the way your office is operating doesn’t just allow you to check in on staff members. It will allow you to really see how your document management process flows and identify ways you can improve or even stages that can be added or cut out to improve efficiency. But, activity monitoring doesn’t need to be like a George Orwell novel. Monitoring can also help to keep you more connected and lead to better, more effective communication. Okay, so you can reduce clutter, connect computers, and watch users. But, what do these actions really accomplish? These changes, and other customized improvements, will lead to real changes that profoundly impact the way your company uses documents, works together, and will lower the costs and risks along the way. You’ll be able speed up job completion times, lower production costs, decrease errors, improve compliance and even free up your IT department to work on more important tasks for you business. To find out more about how Stone’s Office Equipment can help you improve your document management, contact us at 804-288-9000. Making your office as productive as possible is an important part of managing your business. Everything, from the people you hire to the equipment you use, will play a part in just how productive your company can be. One aspect that should be examined is your document management process. Many companies are hesitant to transition from hardcopy files to electronic documents. But, making the switch is not as painful as you might think. And once you’ve switched, you’ll enjoy the benefits of electronic documentation for a long time. 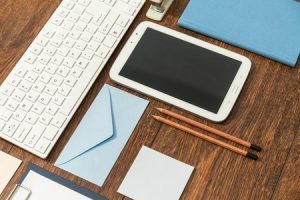 Here are just a few of the ways that using electronic documentation trumps traditional methods and leads to fewer mistakes in the office. Getting and staying organized can seem like a full-time job by itself. When your office gets busy, it’s easy for organization to take a backseat to what your staff thinks is productivity. But, the truth is that clutter and disorganization are significant threats to how well your team can get jobs done. The harder it is to find files and the more time it takes to actually use them, the less productive your staff becomes. Electronic documentation is a great step toward getting more organized and allowing your company to work more efficiently. With fewer papers floating around and easier access to documents, less mistakes will occur and your staff will spend time working instead of making up for those mistakes. With traditional files, collaborating on projects requires first locating the files to be shared and then copying those files for others to use. If you mark or edit those files, then you may even need to make more copies in order to keep your work updated along the way. These old school methods of collaborating are very damaging to productivity and often times lead to mistakes in the process. When you utilize electronic documentation instead, all of the legwork is taken out, allowing team members to easily work together on projects without having to hand deliver files, make more copies, and manually update files. You’ll notice an incredible difference in mistakes made with electronic files, which can be instantly shared with coworkers and easily edited and saved for future use. Not only will electronic documentation help you get organized and make collaboration easier, it will also prevent major losses. The more paper you have filed away and floating around from desk to desk, the more chances there are of files being damaged, lost, or even stolen. With paper, it’s easy to misplace a file in the wrong folder. When that happens, it can be nearly impossible to figure out where it’s hiding. Your files are also at risk for being damaged. 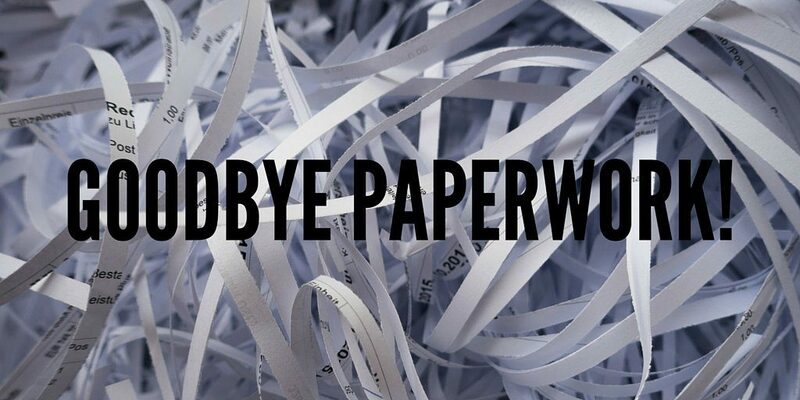 Paper is certainly susceptible to physical damage–accidental shredding, spills, water damage and more. By transferring those files to electronic documents, you won’t have to worry about those accidents anymore. When you create a document management system that supports organization, improves collaboration and prevents losses, you’re not just removing mistakes. You’re boosting your office’s productivity by allowing staff to focus on their projects instead of searching for and editing documents and correcting mistakes. To find out more on electronic documentation, contact Stone’s Office Equipment at 804-288-9000.